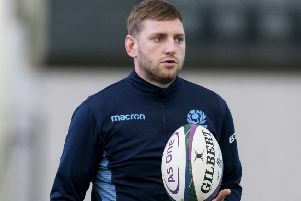 Scotland have dropped to sixth in the World Rugby rankings after their 28-8 loss to Ireland at the Aviva Stadium on Saturday. Gregor Townsend’s men sit on 83.80 points, with South Africa in fifth on 83.81 points. Wales maintained seventh spot with 83.07 points. Ireland, on the other hand, move up to second after swapping places with England, who lost to France in Paris at the weekend. Jacob Stockdale made history by crossing the whitewash twice in the first half against Scotland, becoming only the second player in the history of the tournament to score multiple tries in three consecutive games. The first was Cyril Lowe of England in 1914. France’s 22-16 victory over Eddie Jones’ men sees Jacques Brunel’s side move up two places to eighth. The French gained 1.89 points, which allowed them to leapfrog both Argentina and Fiji in the rankings.